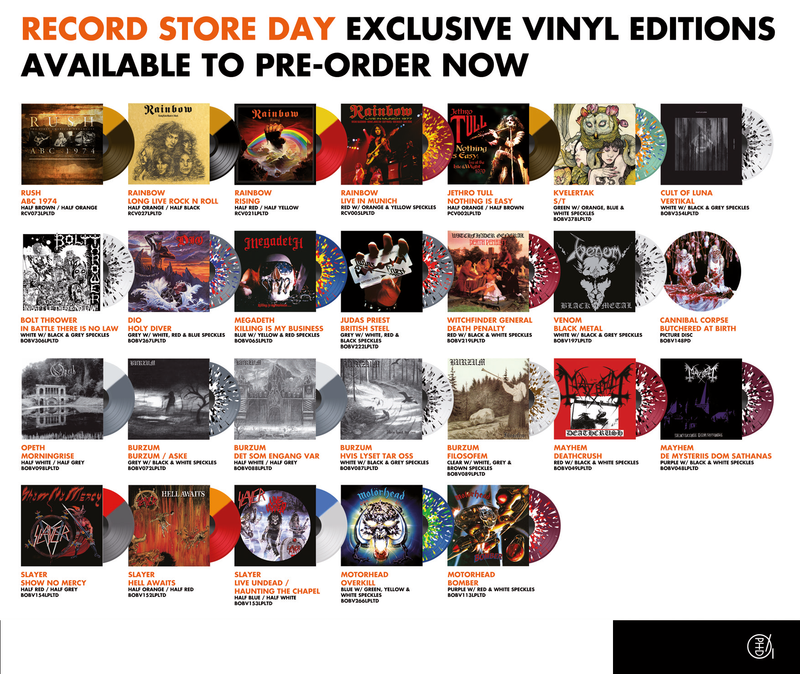 Record Store Day 2013 Vinyl Releases Available for Pre-order from Burzum, Megadeth, Mayhem, Kvelertak, Venom, Opeth, Cult of Luna, Dio and more! These are available in very limited quantities so you better grab them quick! Burzum’s “From The Depths Of Darkness” on White Vinyl is now IN STOCK along with Cynic’s “Carbon-Based Anatomy”. Preorder the new Darkthrone! Imported vinyl from Blood Ceremony, DEATH, Dissection and more now available. Vinyl reissues from Church Of Misery, Opeth, Bathory, Mayhem, Drudkh, Dimmu Borgir and more now IN STOCK! First off, the Candlemass silver vinyl box sets have arrived and are shipping now!